Start by mixing water and salt in a bowl. Add garlic salt and powdered rosemary if you need to clear out ghosts or spirits. Consecrate the mixture. Posted on February 3, 2013 by ladyoftheabyssPosted in Daily Posts, Happy Home SpellsTagged Cook, Food, Garlic, Olive oil, Rosemary, Salt, Sweet potato, Wine tasting descriptors. 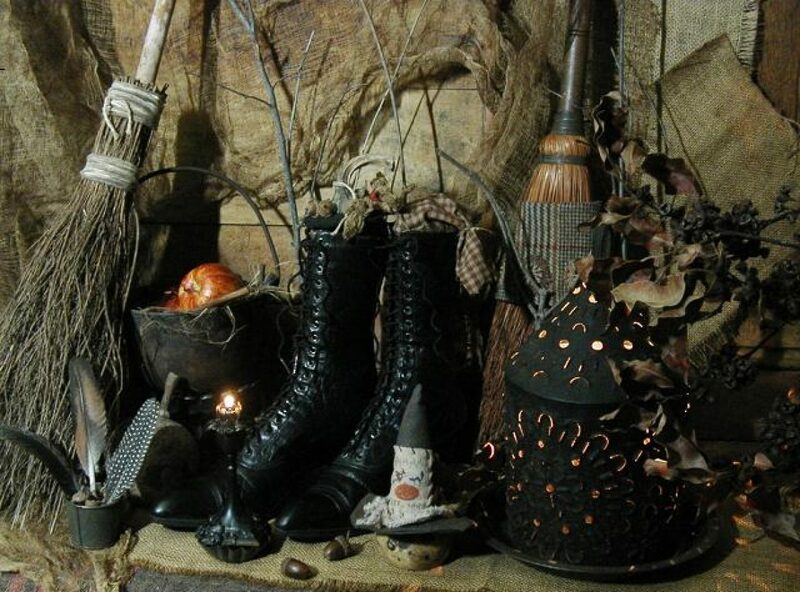 Using a safe container such as an iron cauldron or metal bowl, anoint the poppet with a few drops of oil of myrrh, pennyroyal, rosemary, or rue, and then carefully set it on fire, visualizing the release of your unwanted habit or trait forever. Posted on February 3, 2013 by ladyoftheabyssPosted in Banishing/Binding Spells, Daily Posts, Miscellaneous SpellsTagged Astronomy, Dwarf planet, Hecate, Pluto, Pluto and Charon, Poppet, Solar System, Uranus. “Healing light, Shining bright. Let (name)’s Sickness Flee in fright! The actual term “handfasting” comes from the tradition of the bride and groom crossing arms and joining hands — basically, creating the infinity symbol (a figure-eight) with the hands. In Neopagan ceremonies, the clergyperson performing the ceremony will join the couple’s hands with a cord or ribbon during the ritual. In some traditions, the cord remains in place until the couple consummates the marriage. While some people may choose to have their handfasting be a permanent bond, others might declare it to be valid for “a year and a day”, at which point they will re-evaluate the relationship and determine whether to continue or not. 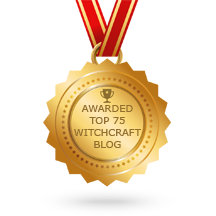 Posted on February 3, 2013 by ladyoftheabyssPosted in Daily Posts, Wicca, WitchcraftTagged Ceremony, Handfasting, Infinity, Marriage, Officiant, Relationship, Religion and Spirituality, Wicca. Uphold the rules of the Wiccan Rede. Be high in spirit ye shall succeed. Will help Mother Nature stay alive. From grains of Earth to the moving Air. Past the burning Fire that magic flares. Around the Spirit’s aura and dreams. Posted on February 3, 2013 by ladyoftheabyssPosted in Chants, Cleansing Spells, Daily PostsTagged Earth, Elements, Magic, Mother Nature, Religion and Spirituality, water, Wicca, Wiccan Rede. Posted on February 3, 2013 by ladyoftheabyssPosted in Daily Posts, The Goddesses, The Witch, WitchcraftTagged Charge of the Goddess, Doreen Valiente, God, Jacob, Jesu, Laban, Religion and Spirituality, Star Goddess. Candle magick is one of the simplest and easiest types of magick to cast. Any type of candle can be used for candle magic as long as it has been cleansed and consecrated prior to use. Although beeswax candles are higher in price than store bought candles, they are more powerful because they are produced from nature. As with any other tool, the candle made by the practitioner for a specific purpose captures the energy of the practitioner. Many experienced Witches will use only candles they have crafted themselves because of this. Posted on February 3, 2013 by ladyoftheabyssPosted in Candle Magick, Daily PostsTagged Accessories, Beeswax, Candle, Handcrafted, Home and Garden, Scented, Shopping, Wax.